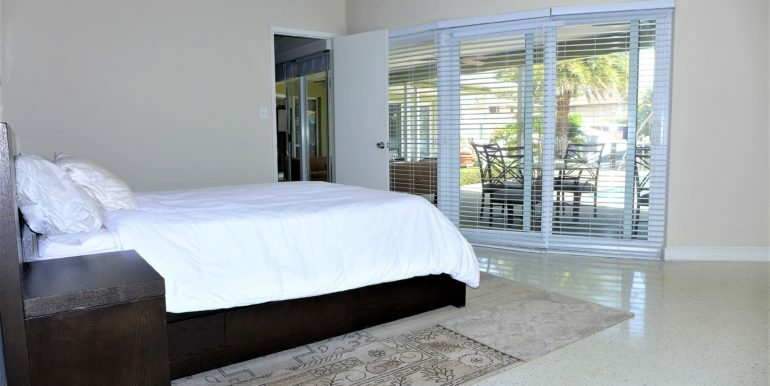 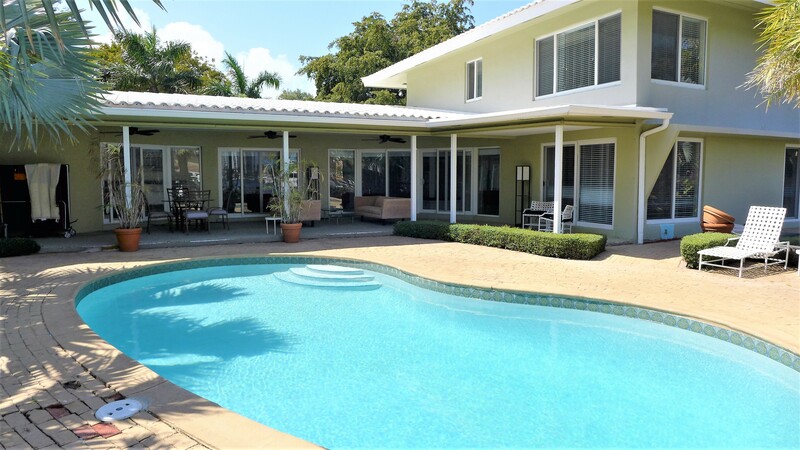 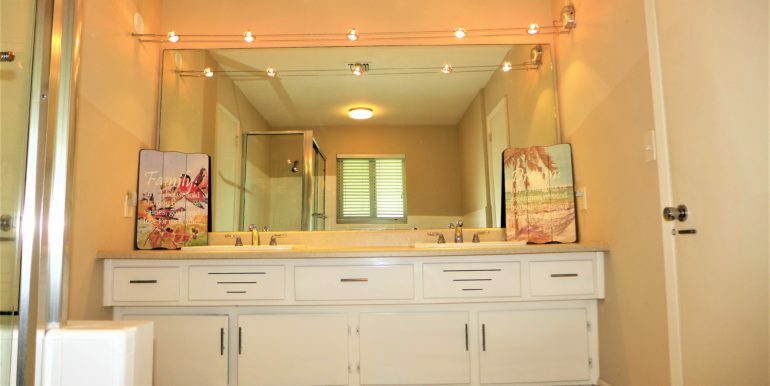 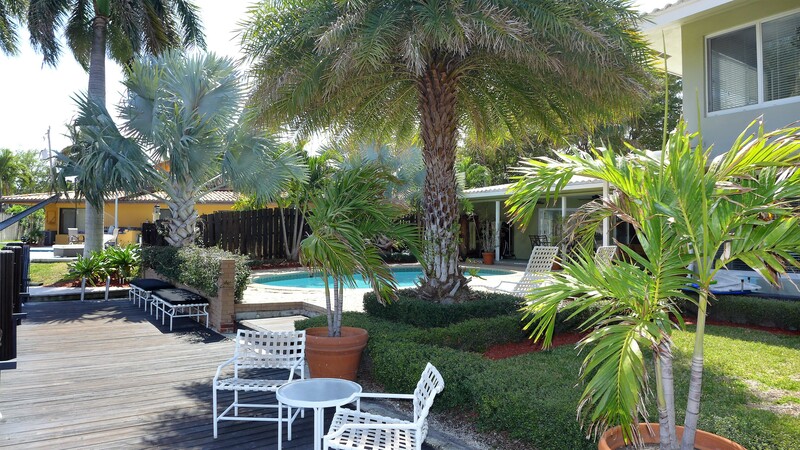 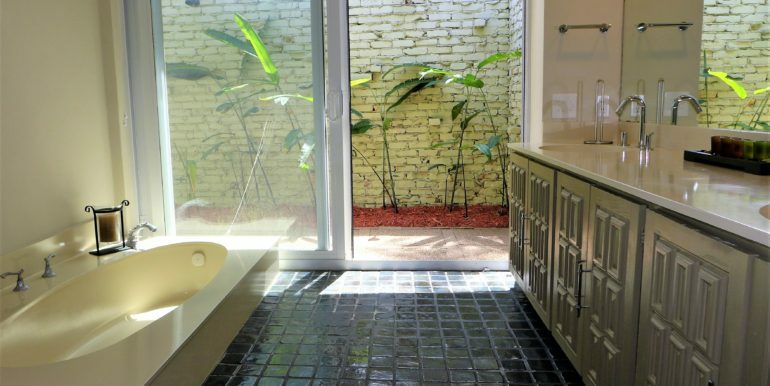 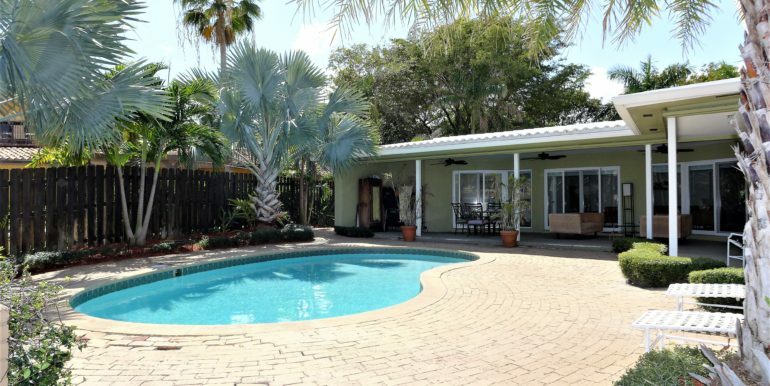 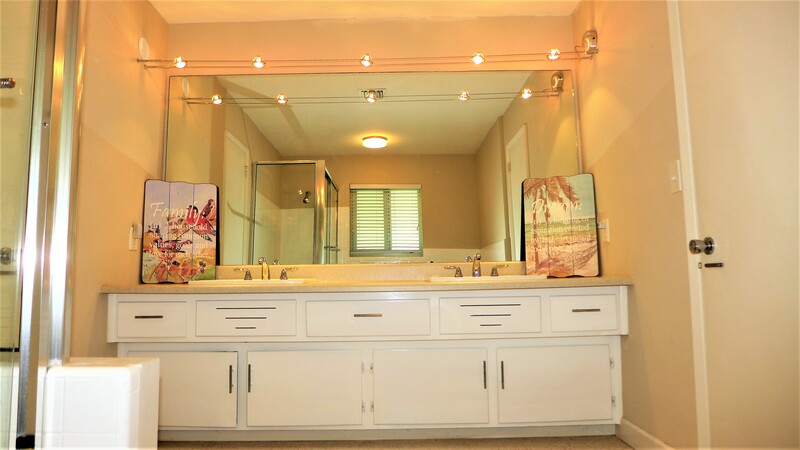 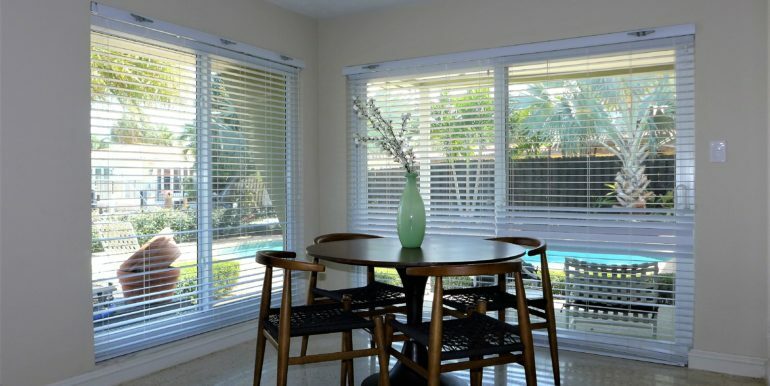 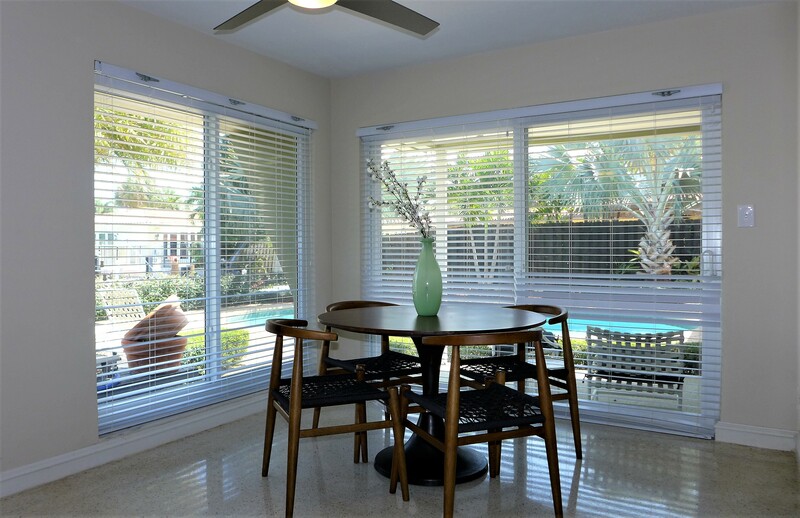 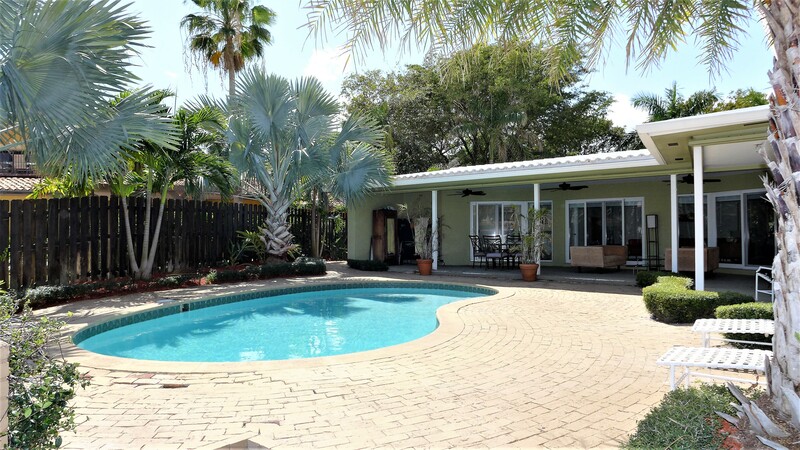 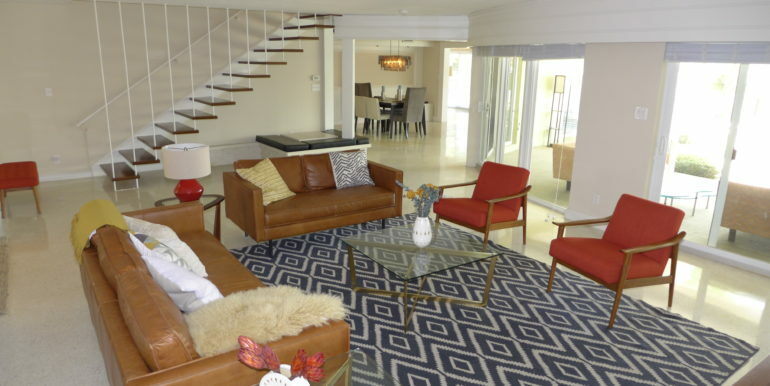 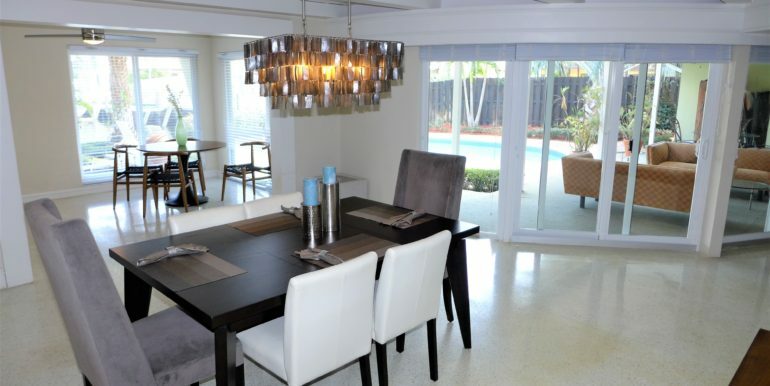 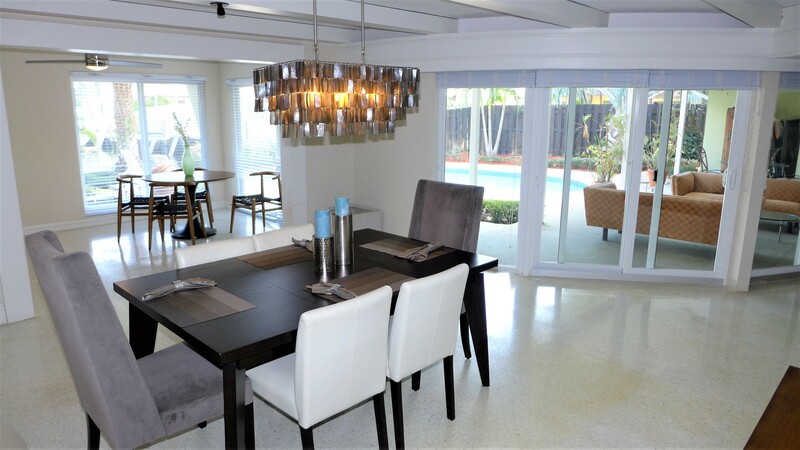 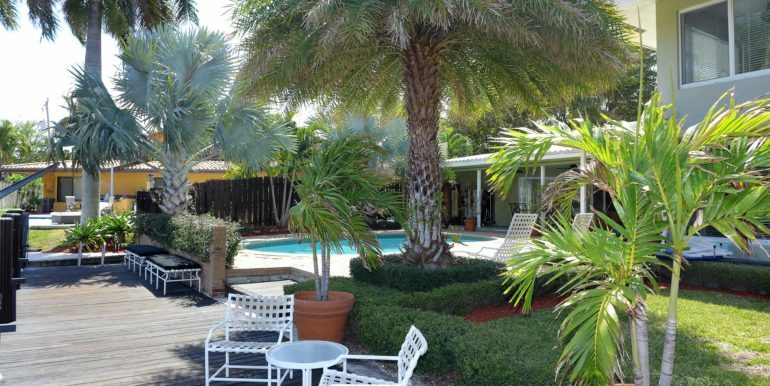 WHAT WE LOVE MOST ABOUT THIS PROPERTY IS THE FLORIDA LIFESTYLE THIS HOME EMANATES. 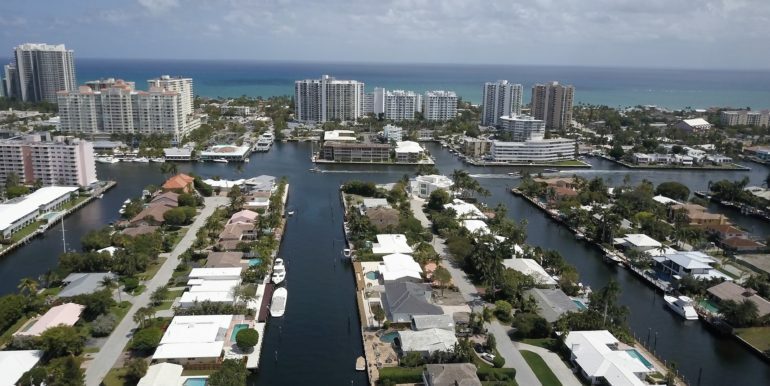 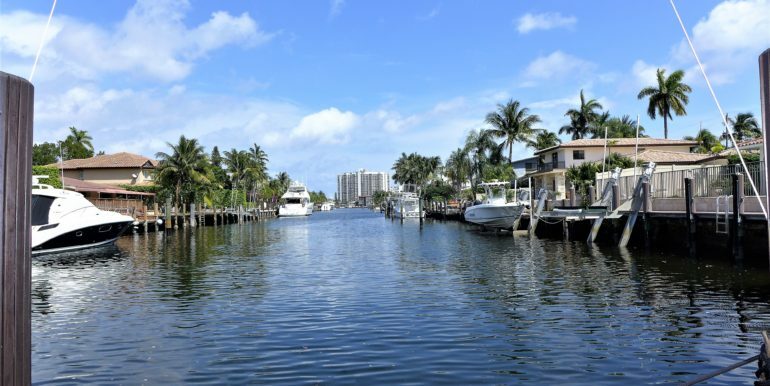 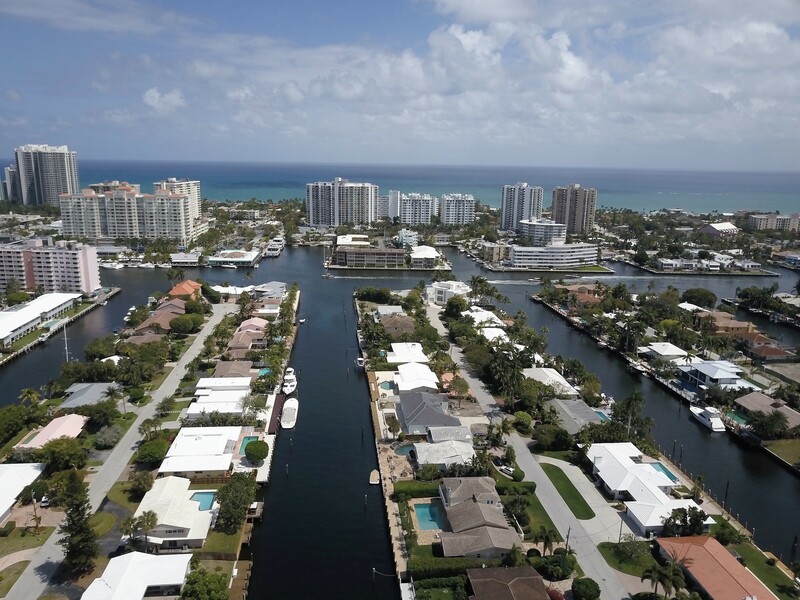 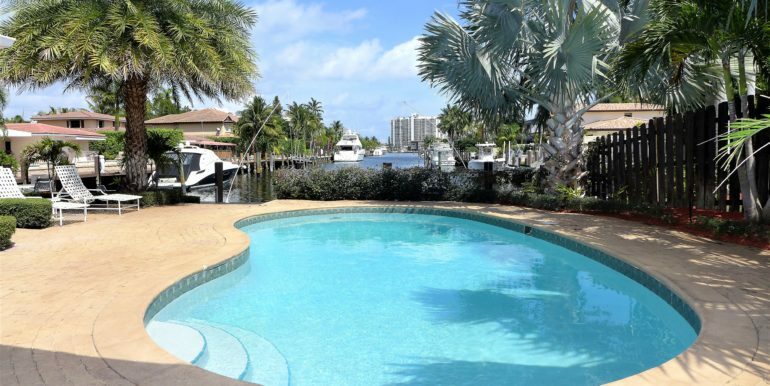 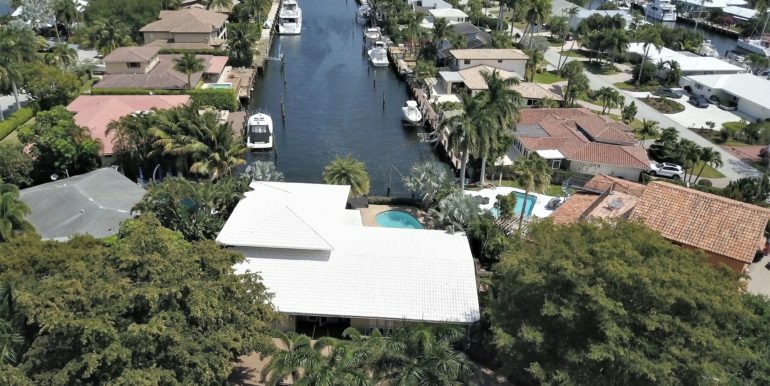 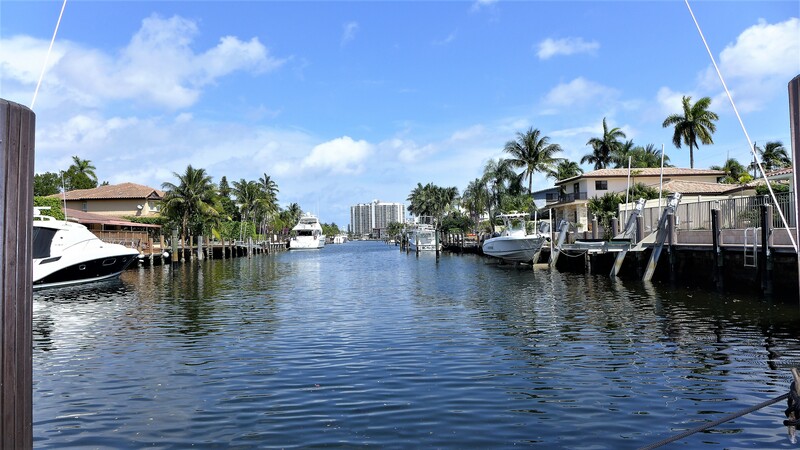 SALT LIFE ALL THE WAY FROM THE SUNSHINE, POOL, 70′ OF DOCK SPACE, OCEAN ACCESS W/ NO FIXED BRIDGES, AND ONLY A FEW SHORT MINUTES WALKING FROM THE SANDY BEACHES OF FORT LAUDERDALE! 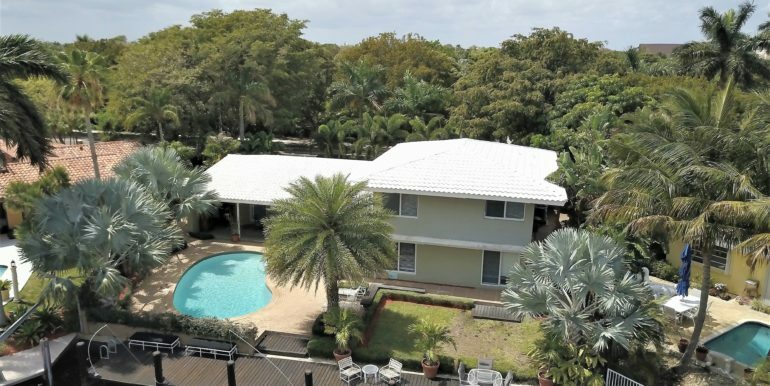 A GATED ENTRANCE, CIRCULAR DRIVEWAY AND LUSH LANDSCAPE GREET YOU UPON ENTERING THE PREMISES OFFERING PRIVACY AND VISUAL APPEAL. 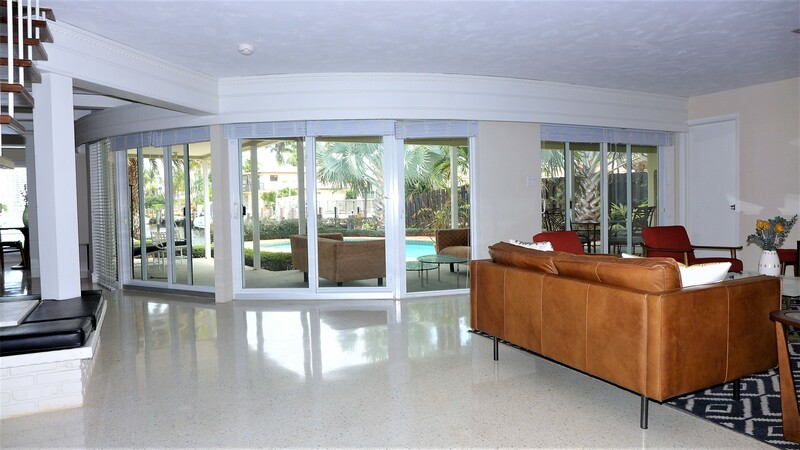 THE ENTIRE EAST WALL OF THE HOME IS MADE OF IMPACT GLASS CREATING AN INCREDIBLE PASS-THROUGH FOR INDOOR/OUTDOOR LIVING INTO THE COVERED AREA OUTSIDE, LARGE POOL, INVITING DOCK, AND THE SPECTACULAR AND SELDOM AVAILABLE LONG INTRACOASTAL WATERWAY VISTA. 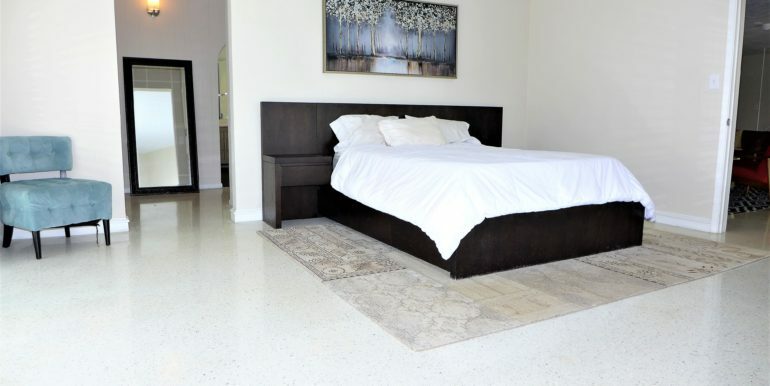 THE 4,298 SF HOME BOASTS TERRAZZO FLOORING THROUGHOUT, PERFECT FOR MAINTAINING A COOLER CLIMATE WITHIN YOUR SPACE AND OF COURSE SIMPLICITY IN CLEANING THE SALT & SAND MODUS VIVENDI! 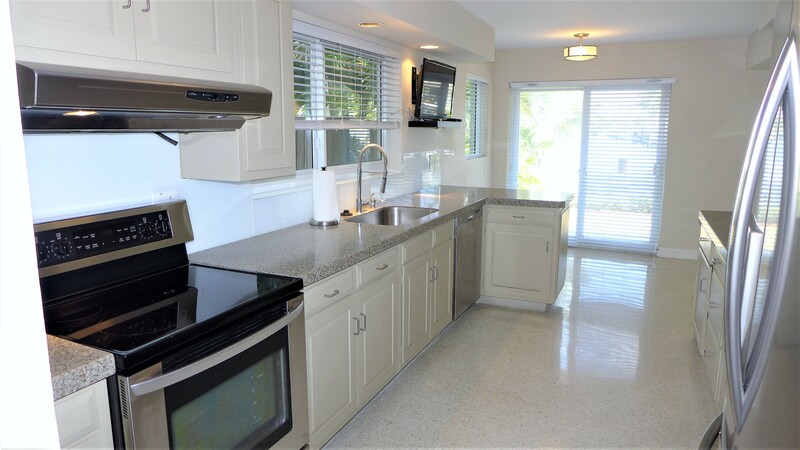 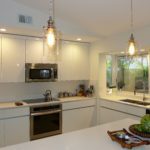 LIGHT WOOD CABINETS, GRANITE COUNTERS, UNDERMOUNT SINK & STAINLESS STEEL APPLIANCES W/ BREAKFAST AREA IN THE KITCHEN LEAD TO YOUR LARGE DINING ROOM – ALL BASKING IN THE NATURAL LIGHT OF YOUR OUTDOOR PARADISE. 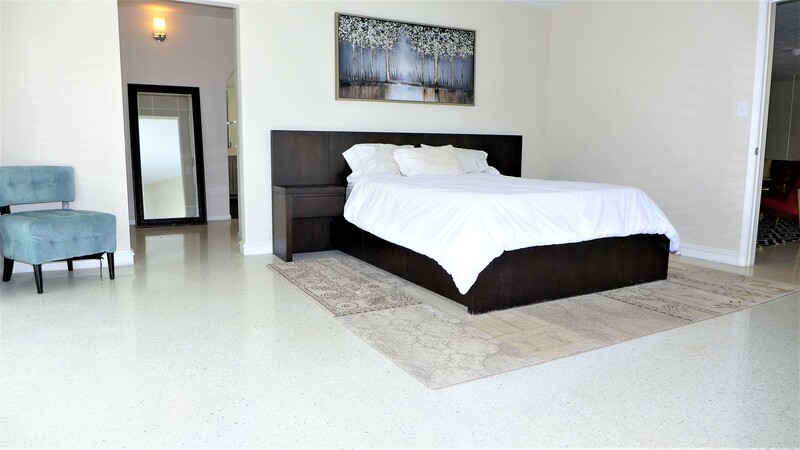 FIRST FLOOR MASTER FEATURES 2 WALLS OF IMPACT WINDOWS, A LARGE WALK-IN CLOSET TO YOUR LUXURIOUS EN SUITE BATHROOM WITH SEPARATE SOAKING TUB, GLASS ENCLOSED SHOWER & DOUBLE VANITY. 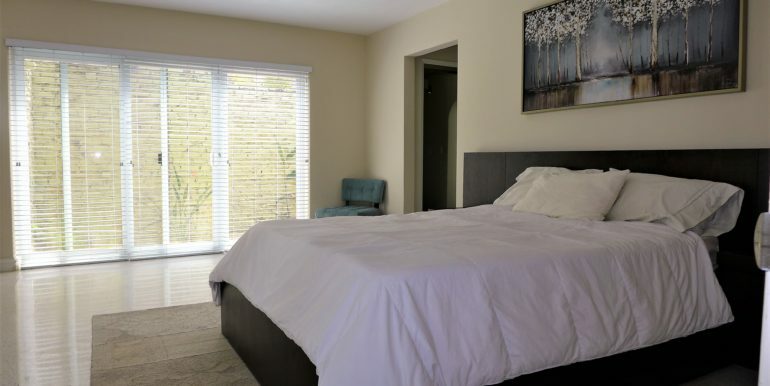 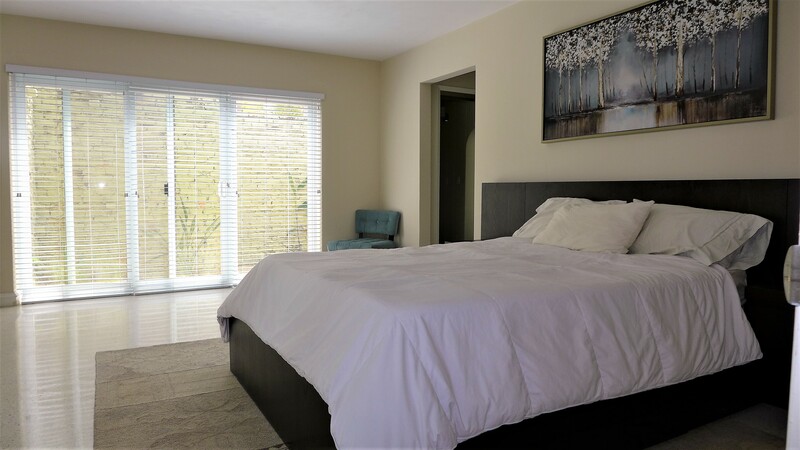 2ND FLOOR DOES NOT DISAPPOINT WITH 2 SPACIOUS BRIGHT BEDROOMS BOASTING INCREDIBLE AERIAL VIEWS, WALK-IN CLOSETS AND LARGE JACK & JILL BATHROOM. 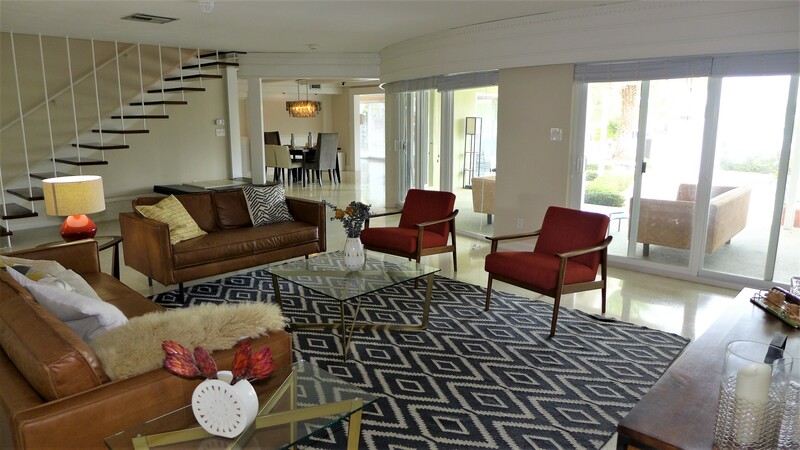 SHOWINGS ARE APPOINTMENT ONLY, BUT WE WOULD LOVE TO SHARE THE PHENOMENAL LIFESTYLE THIS HOME OFFERS SO YOU TOO CAN FALL IN LOVE! 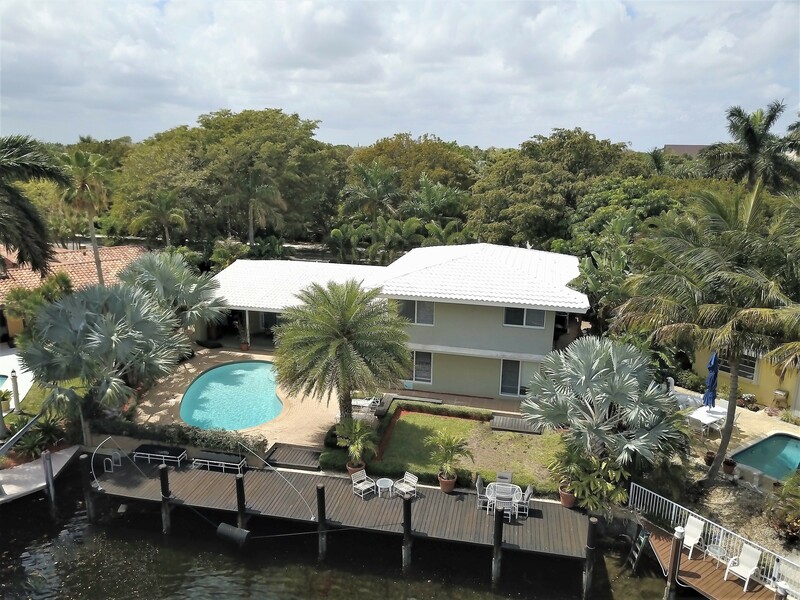 Spectacular & rarely available home displaying such expansive waterway views! 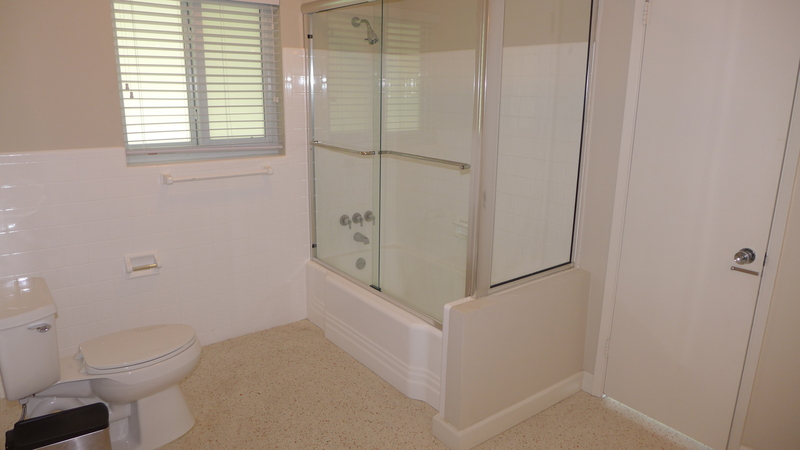 Enjoy complete privacy. 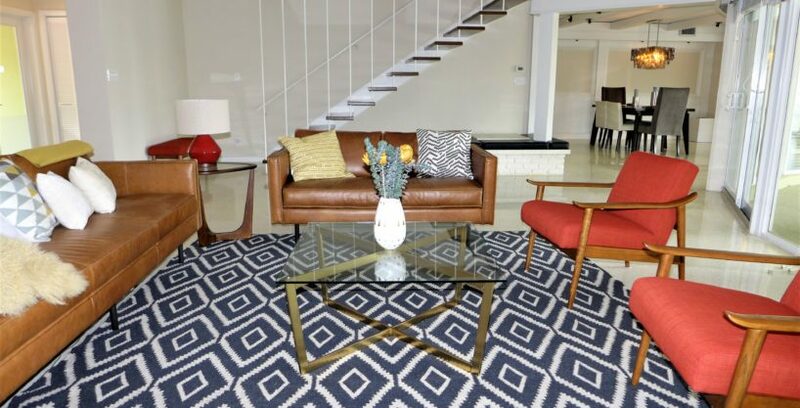 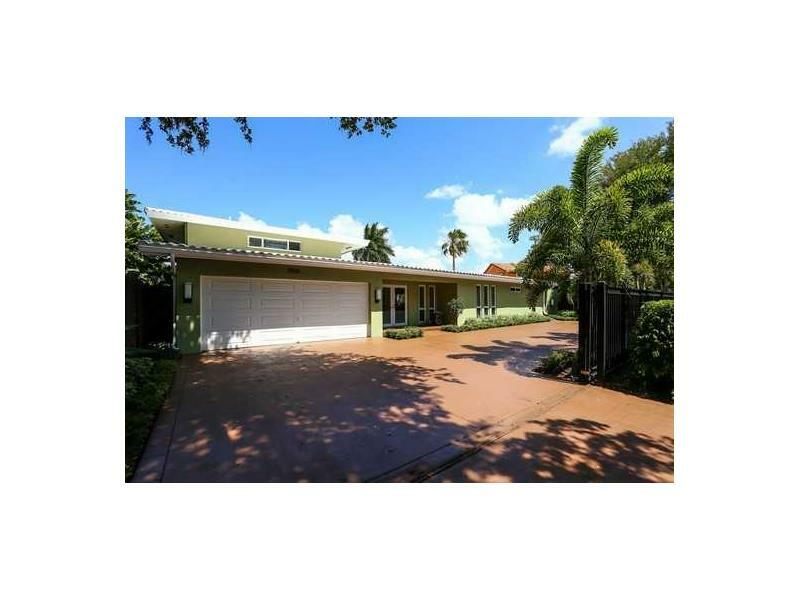 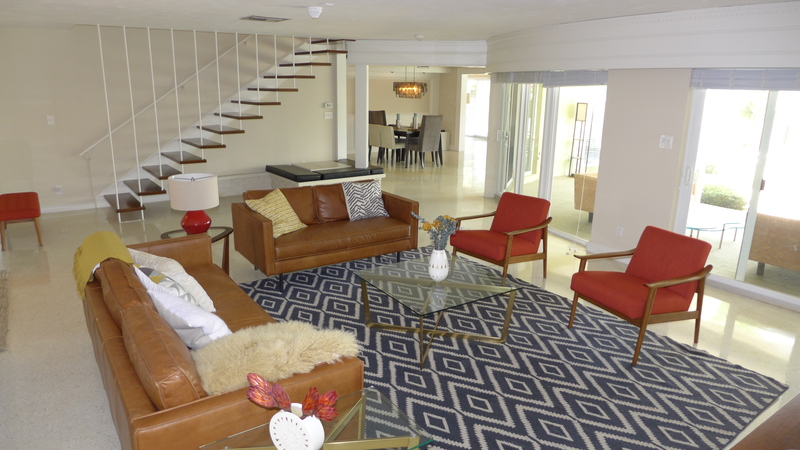 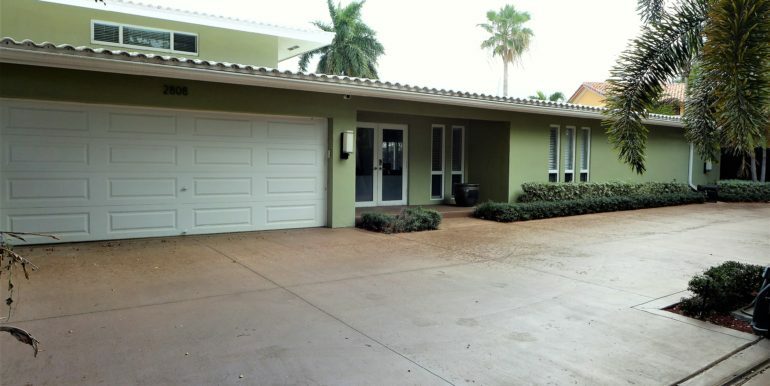 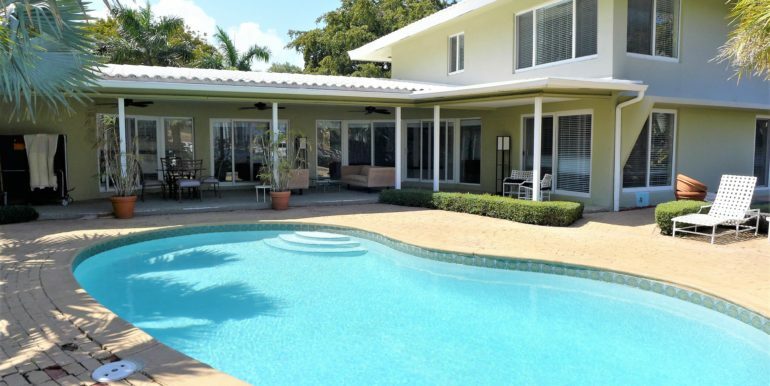 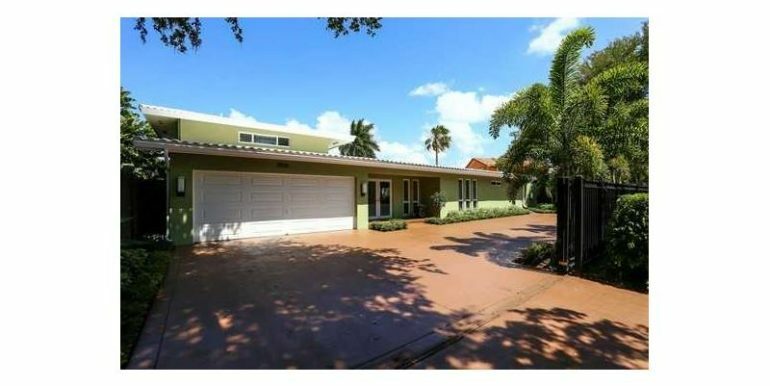 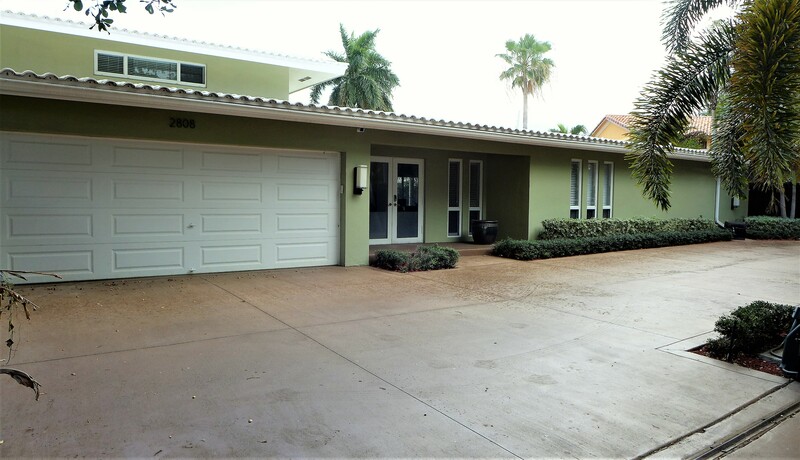 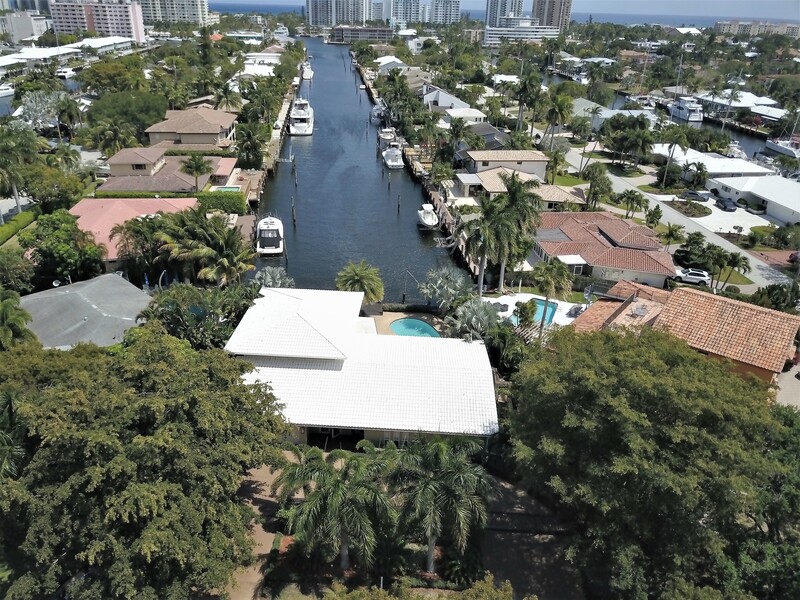 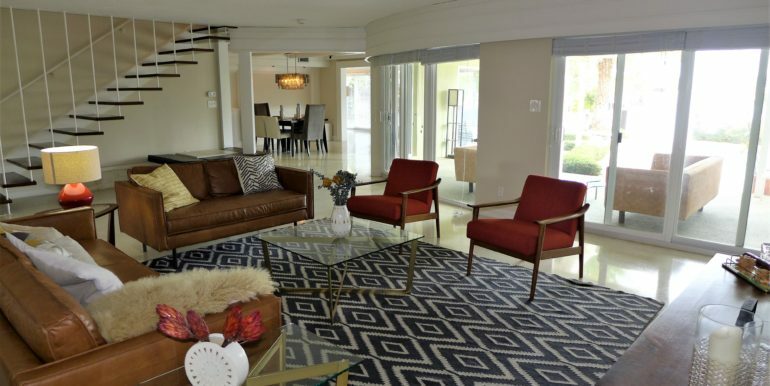 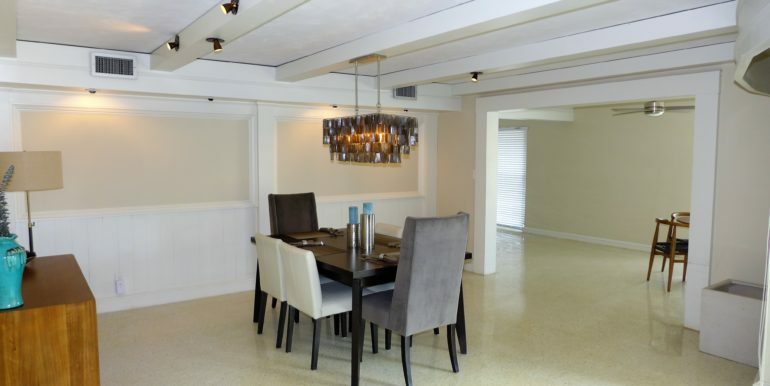 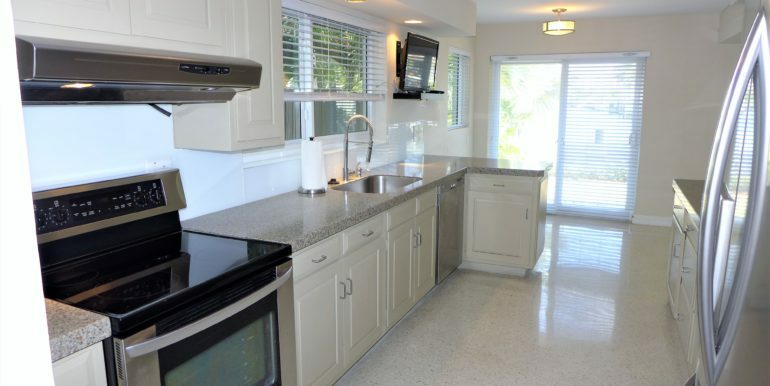 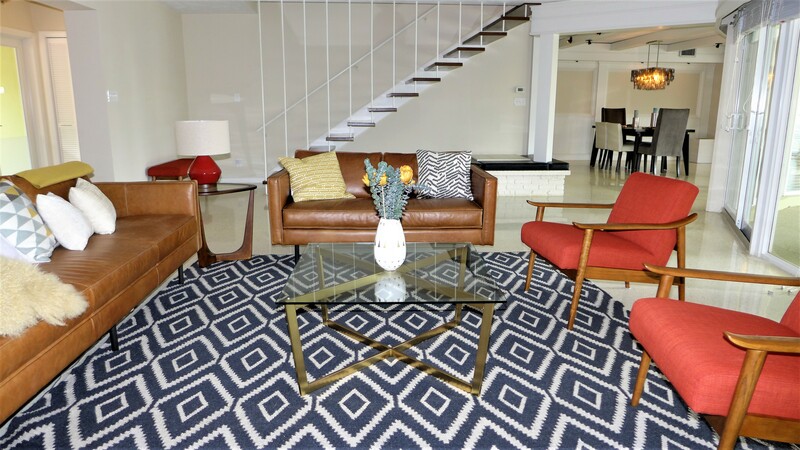 This mid-century modern gated home boasts 4298sf with 70′ of waterfront and stunning Intracoastal canal views. 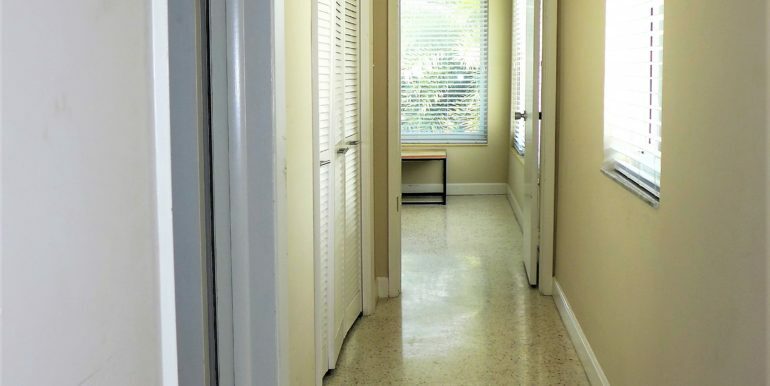 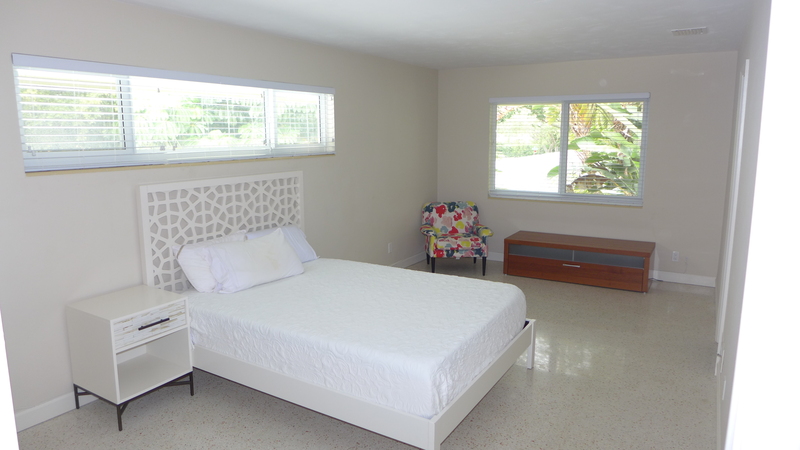 Inside features 3 large bedrooms with 1st floor master. 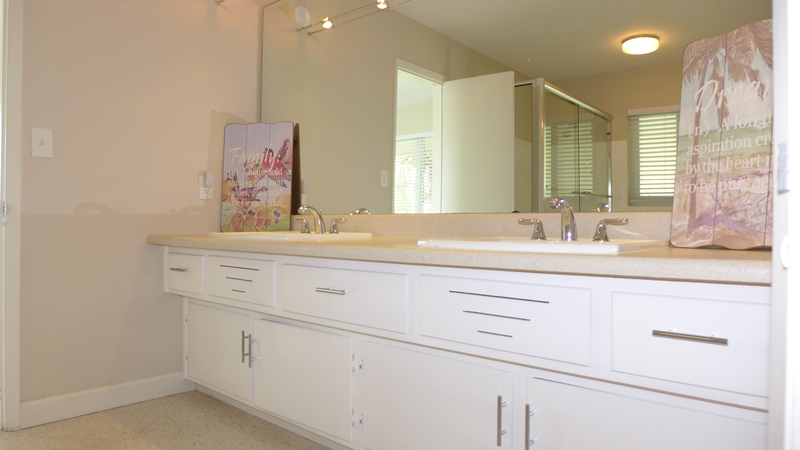 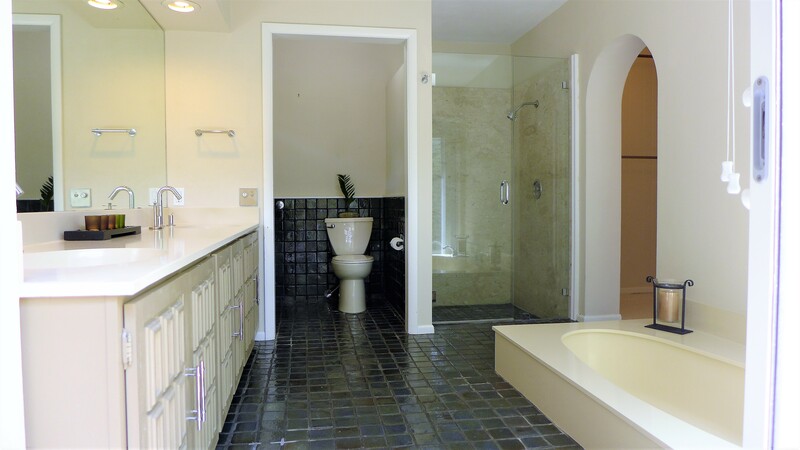 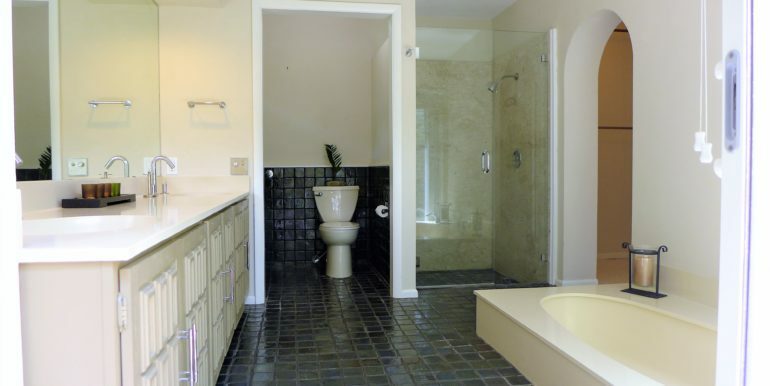 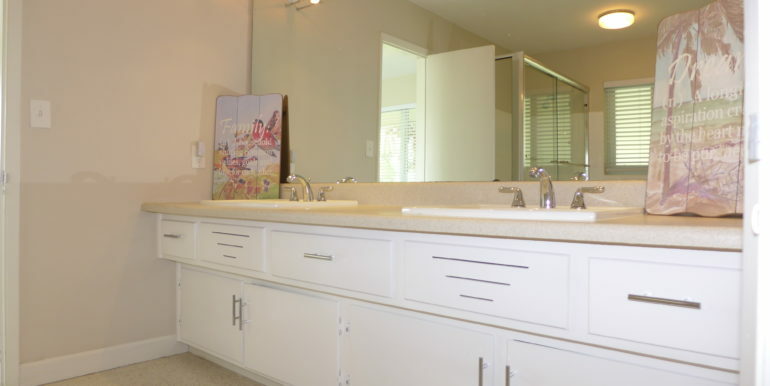 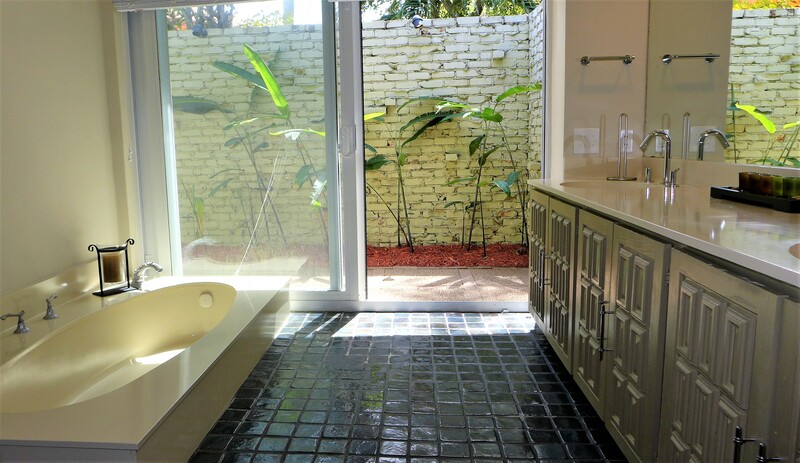 Ensuite master bath features a soaking tub, separate glass enclosed shower, double vanity and lots of natural light! 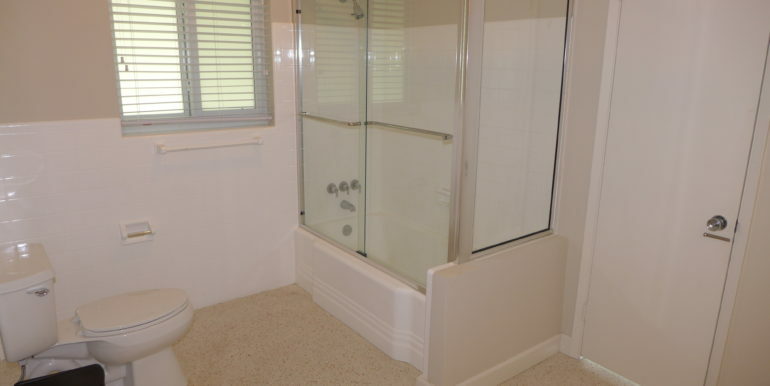 Jack & Jill full bath with combination tub and glass enclosed shower & double vanity is upstairs, and 2 half baths lay throughout the 1st floor. 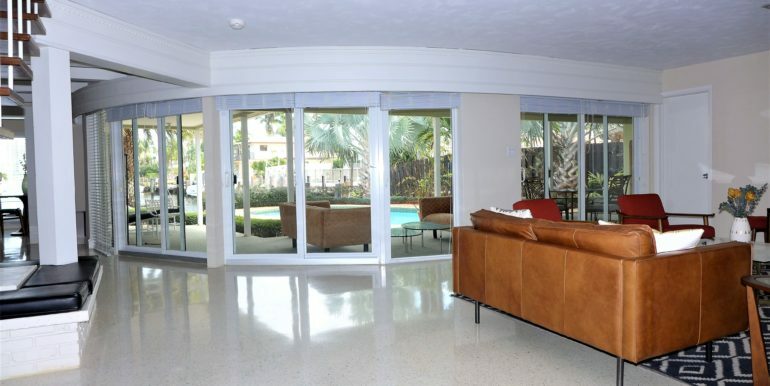 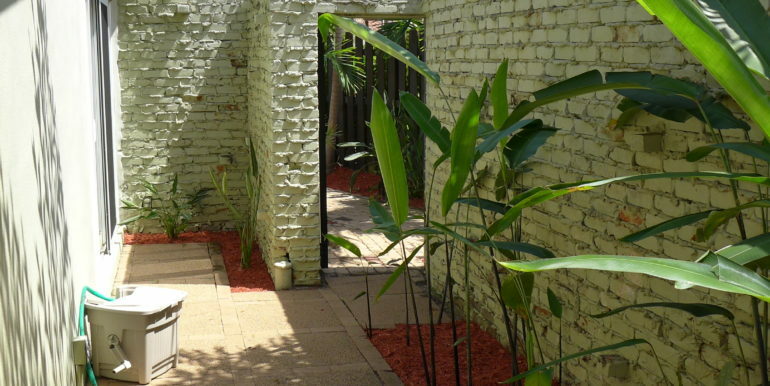 The east wall of the entire house is formed of impact windows creating an amazing indoor/outdoor entertainment space. 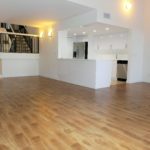 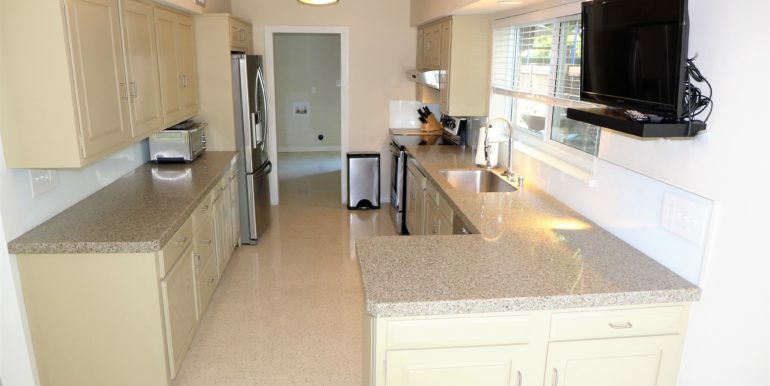 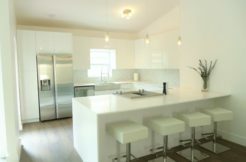 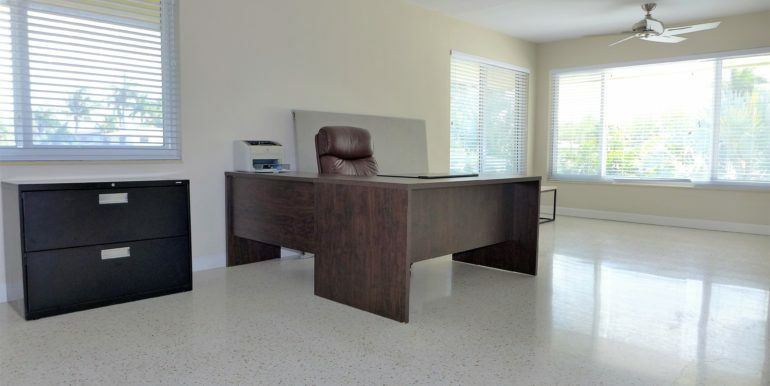 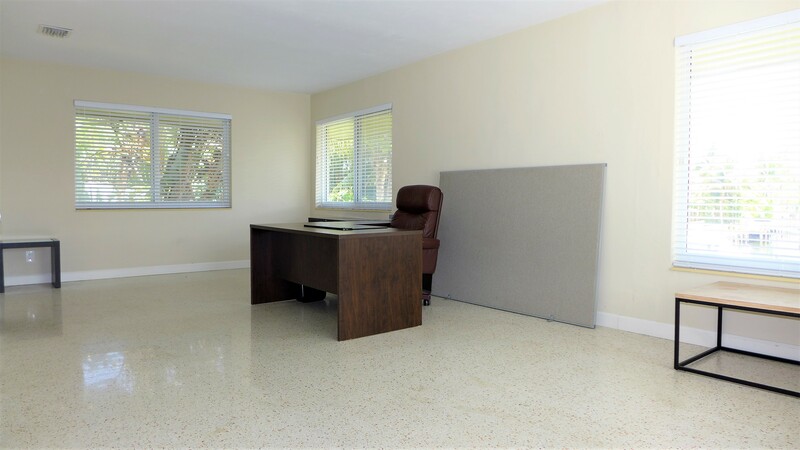 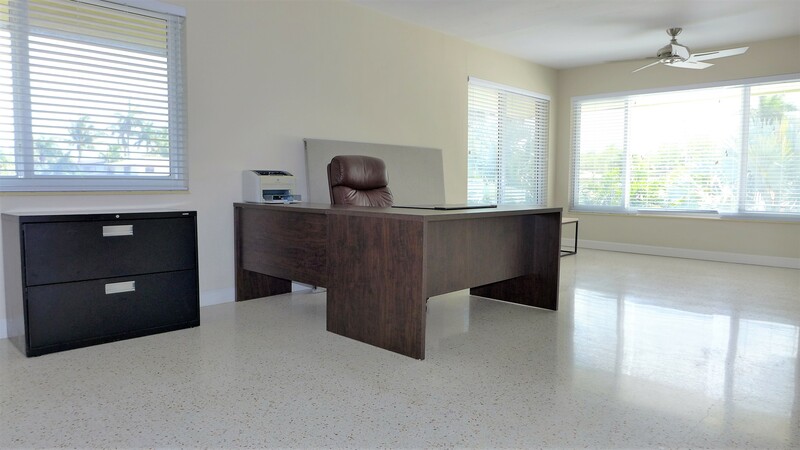 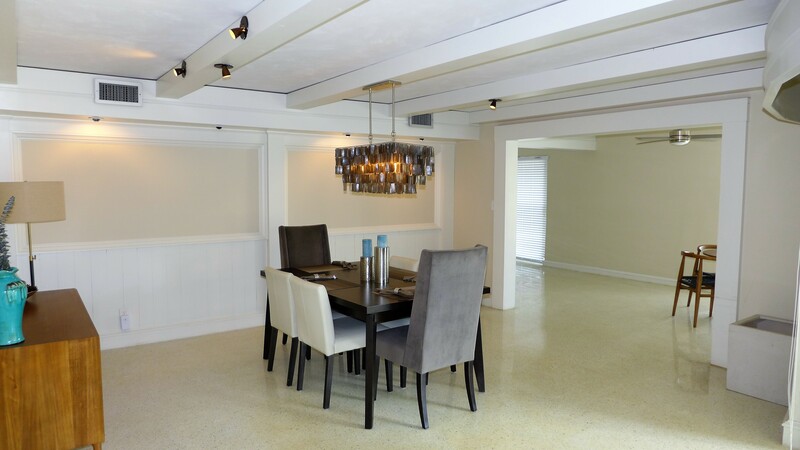 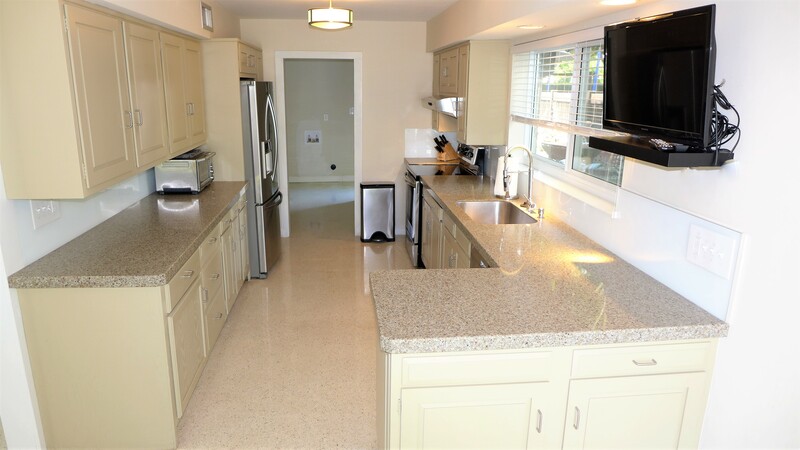 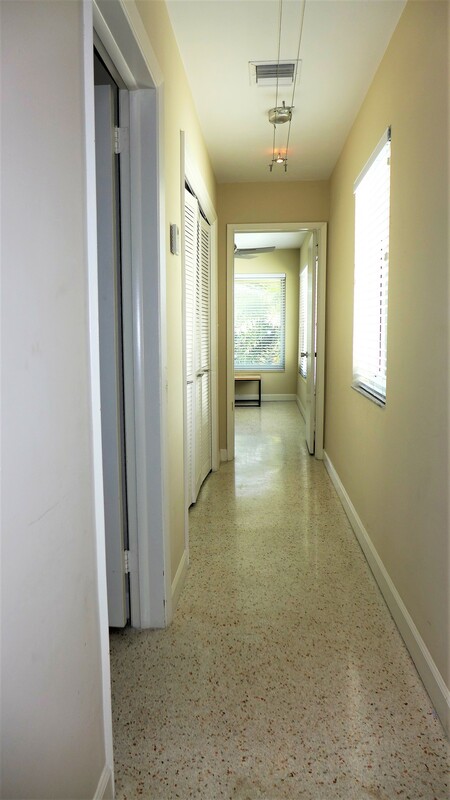 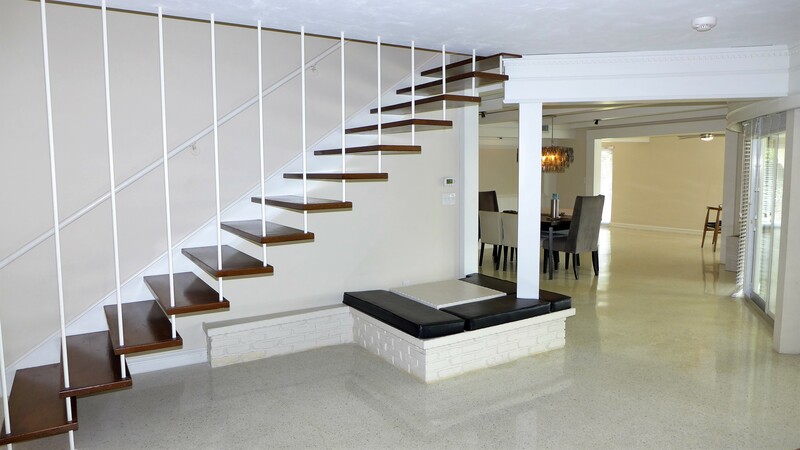 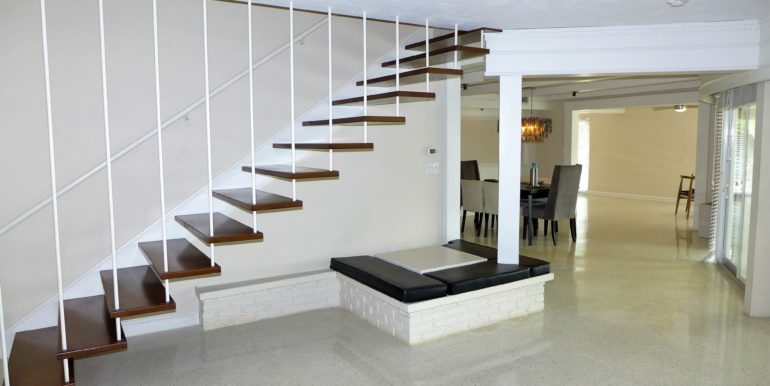 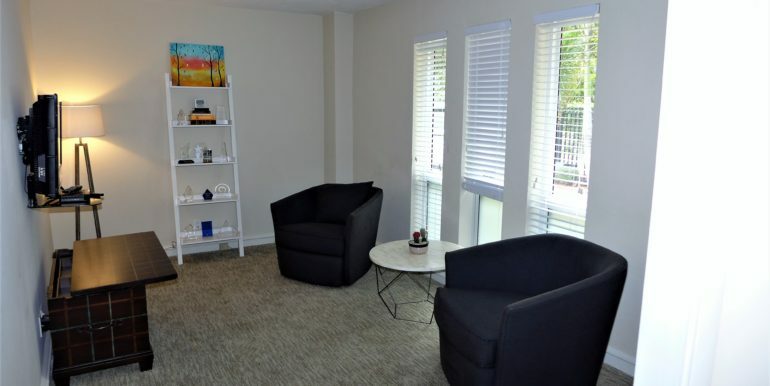 Terrazzo flooring throughout the entire home, separate office , renovated kitchen with breakfast nook and interior laundry. 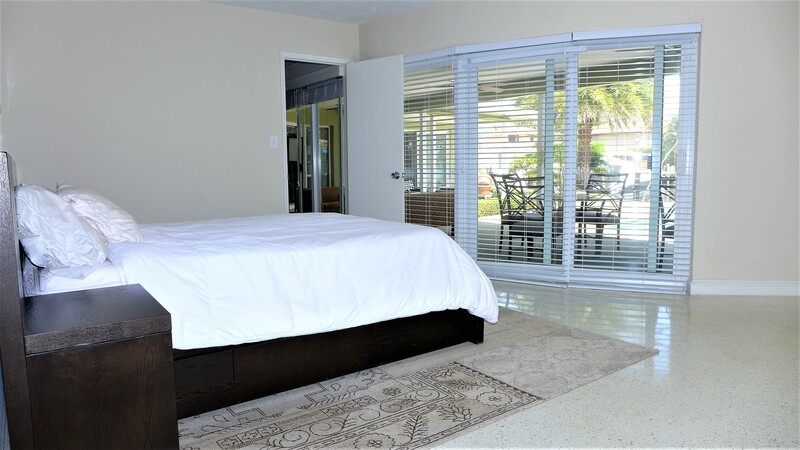 Impact windows and doors throughout and newer AC’s. 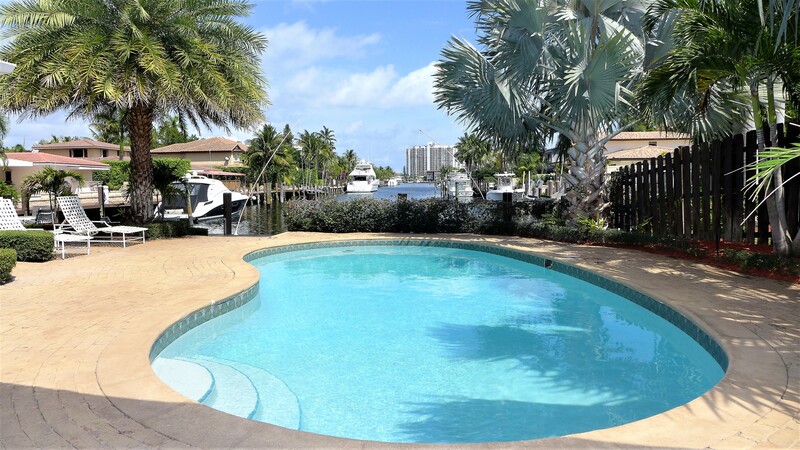 The tropical oasis outside offers a gorgeous covered outdoor living space with a sun drenched pool and incredible wide waterway views. 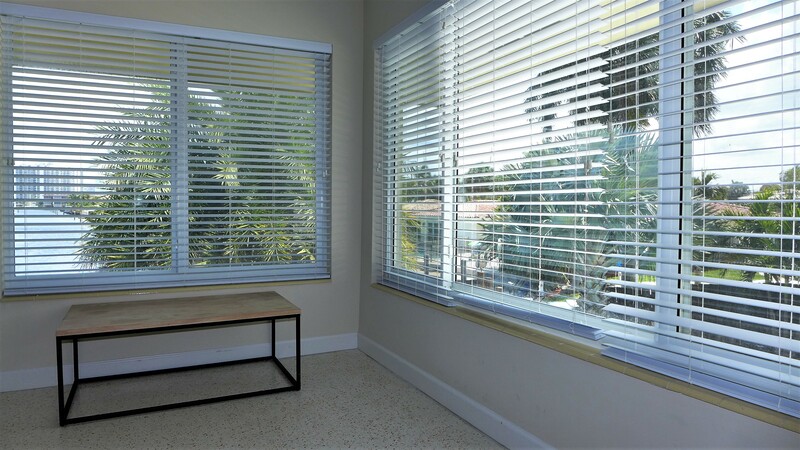 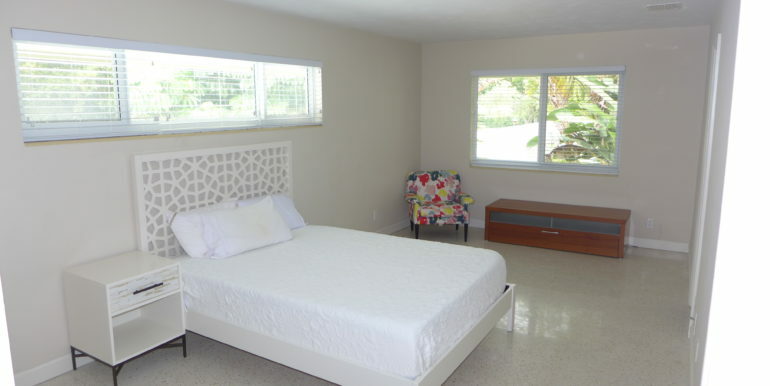 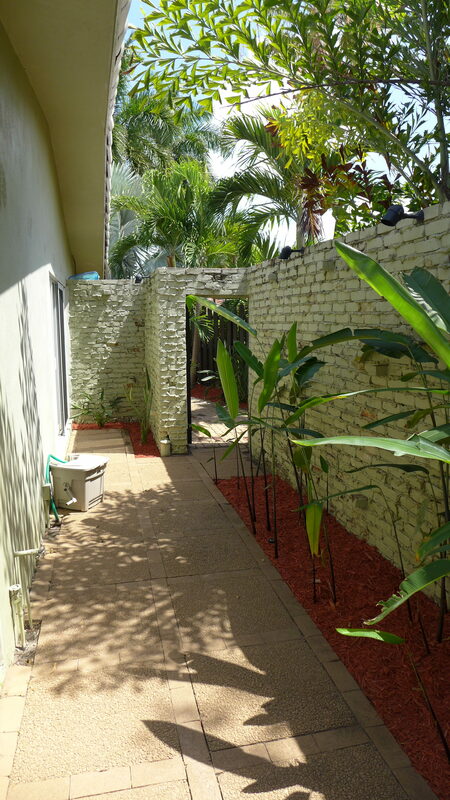 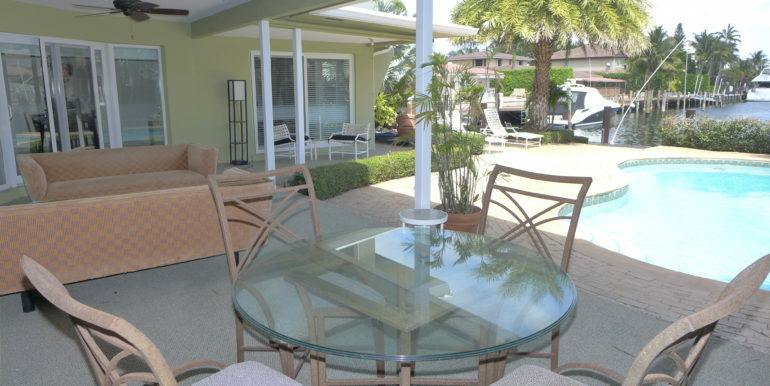 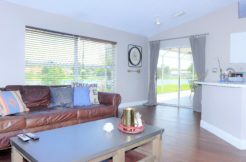 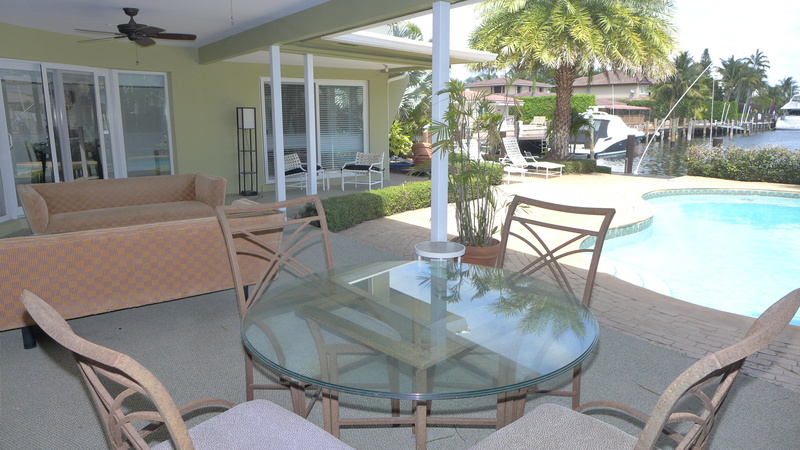 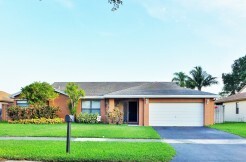 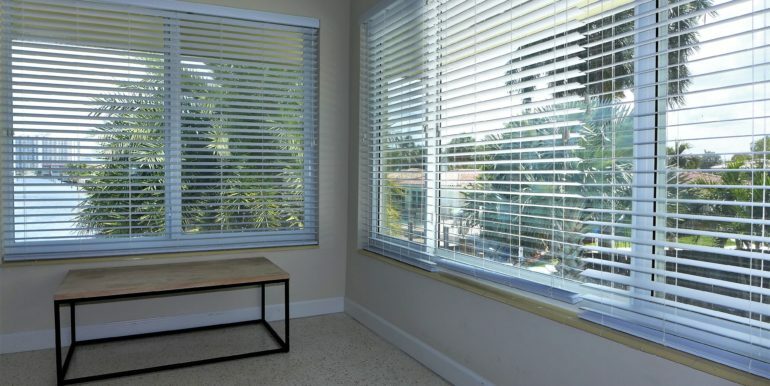 Home is located in very sought Bayview School District and within walking distance to the beach.